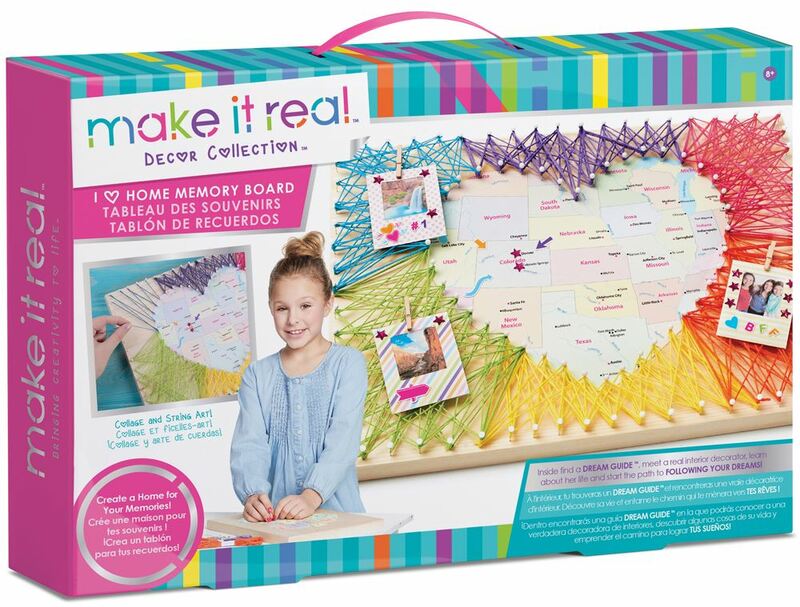 Bring creativity to life, and create a colourful memory board with Make It Real. Includes: a wooden canvas, maps, heart shaped stencil, 110 pins, many other accessories, instructions and a dream guide. Age 8+ years. Part of the Decor Collection. Distributed in New Zealand by Holdson.